We are excited to announce that Rav Meir Goldwicht shlit’a, Rosh Yeshiva Yeshiva University in New York and a noted speaker has agreed to present the shiur on January 7th. The shiur will take place in Bet Knesset Netzach Menashe (Reuven 18) in Bet Shemesh. The topic will be הבית והמשפחה- בין כיבוד הורים לחינוך בנים – בהלכה ובאגדה. The shiur will be in hebrew. Marei Mekomot will be provided a few days before the shiur and will be available on Jan 7th also. The schedule: 7:30pm preparation for shiur. 8:00pm Maariv followed by shiur at 8:15pm and Kugal/Cholent at 9:15pm. 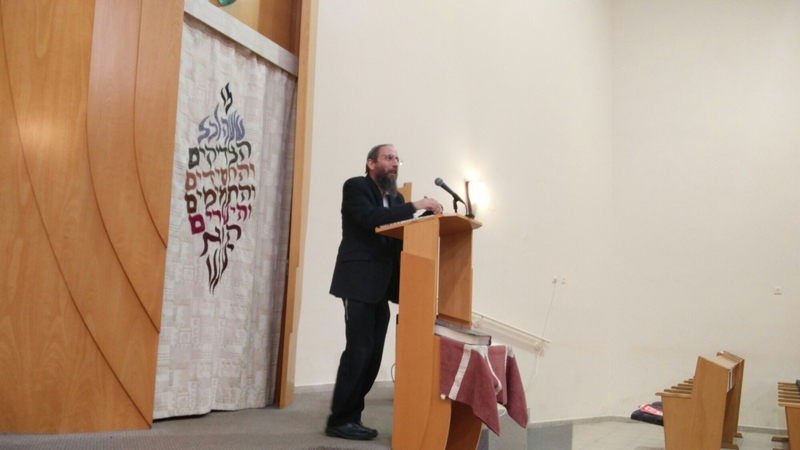 Rav Meir Goldwicht, a prominent Israeli scholar and educator, is the Joel and Maria Finkle Visiting Israeli Rosh Yeshiva and a rosh yeshiva at the Yeshiva Program/Mazer School of Talmudic Studies at Yeshiva University. He is also head rosh yeshiva at the Irving I. Stone Beit Midrash Program. Rabbi Goldwicht received semikha from the renowned rabbinic authorities Rabbi Zalman Nehemia Goldberg, former Chief Rabbi of Jerusalem HaRav HaGaon Betzallel Zolti and Rabbi Ovadia Yosef, HaRav Rashi of Israel. Rabbi Goldwicht delivers Hebrew and English shiurim (lectures) extensively across the metropolitan area, throughout the United States and in Israel, including weekly evening shiurim in 5 New York area communities. He has delivered more than 1,000 inspiring shiurim every year to grateful audiences. Rabbi Goldwicht is also rosh kollel at Camp Mesorah. 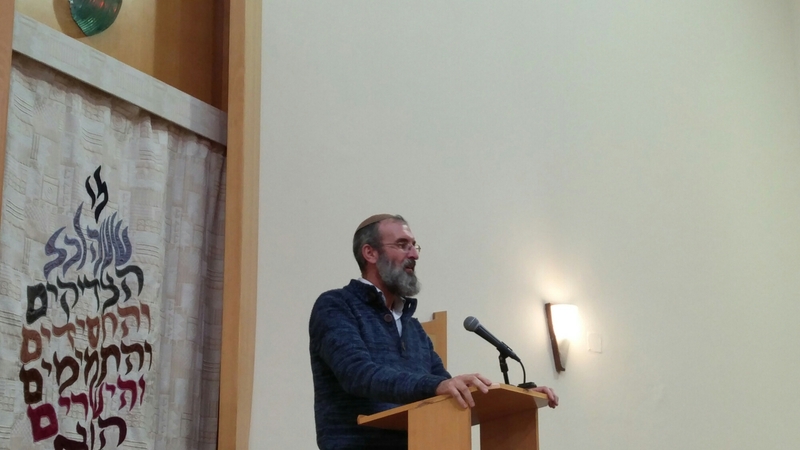 On Thursday Dec 3rd, we were privileged to hear from Rav Yosef Zvi Rimon who spoke on several topics related to personal safety in dangerous situations and various issues that come up in the army. 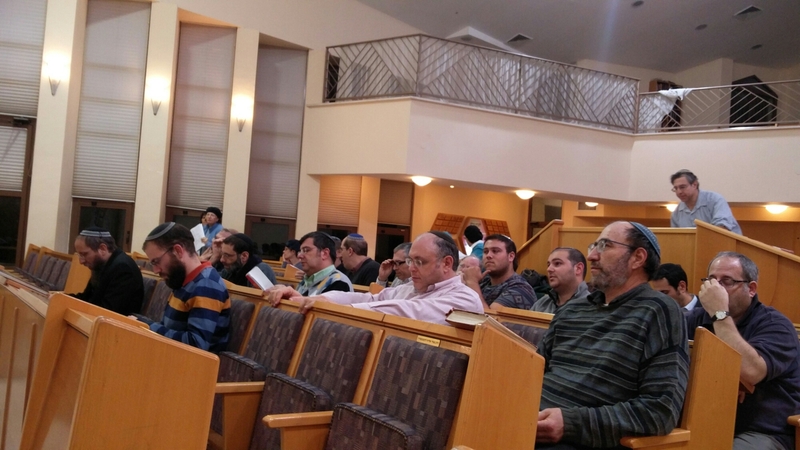 Over 100 men and women from across the Bet Shemesh community attended the shiur in Bet Knesset Ohel Yonah Menachem.